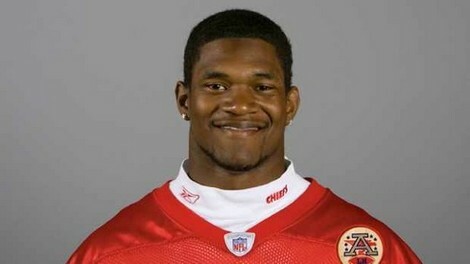 Was Jovan Belcherâ€™s Suicide / Murder Caused By Steroids? There is some sad news today in the world of NFL football. Jovan Belcher of the Kansas City Chiefs was involved in a murder-suicide this morning. According to TMZ, Police Capt. David Lindaman said Jovan and his girlfriend Kasandra Perkins were arguing around 7am local time. He then pulled the trigger on Kasandra, shooting her several times. She was pronounced dead at a local hospital. Kasandra's mom was a witness to the shooting. Kasandra had just given birth to the couple's daughter Zoey Michelle Belcher in September. Her family says the couple always seemed to be very much in love and were ecstatic when Kasandra became pregnant. This makes the whole situation even more sad. Jovan was 25 years old and Kasandra was 22 years old. Jovan's suicide took place at Arrow Head stadium. Â There are reports that Jovan was confronted by team personnel to try to prevent him from killing himself and committing further acts of violence. He spoke to GM Scott Pioli and head coach Romeo Crennel. Jovan thanked them both for all they did for him before shooting himself in the head. Jovan Allen Belcher was born on July 24, 1987 in Long Island, NY. He played college football ball for the Maine Black Bears at the University of Maine. Jovan played defensive end and outside linebacker while in college. Jovan was drafted by the Kansas City Chiefs in 2009. He became the Inside Linebacker for the Chiefs in 2011. I can't even imagine the horror Jovan's coaches and Kasandras family are feeling. What could drive a successful athlete with a loving family to commit such an act of violence? We could use Chris Benoit as an example. Chris was a famous wrestler who had taken many blows to the head during his career. After his death researchers at the Sports Legacy Institute were eager to look at his brain. They were checking to see if Chris' head injuries could have lead to the murder of his wife and son, and then his own suicide. Chris also was user of steroids to boost his performance in the ring. Both components are thought to have given Chris reason to commit these acts of violence. Jovan, being a football player, probably took several blows to the head during his brief career and very possibly used steroids as do many NFL players. The investigation into this murder-suicide is just beginning so we don't know yet if Jovan was using steroids, recreational drugs or alcohol, if he was depressed or angry, or even if there is a reason Jovan may have wanted revenge for something Kasandra did during their relationship. What do you think of this tragedy? Could Jovan Belcher be a victim of brain damage or could there be another reason for him committing these crimes? One Response to Was Jovan Belcherâ€™s Suicide / Murder Caused By Steroids? I’d like to see the fox screen results. Not only of Jovan, but of every NFL player involved in violent incidents. Throughout the coverage over the weekend on sports stations, steroids nor ‘performance enhancing drugs’ were mentioned once. Bob Costas editorialized about availability of handguns, but I am certain NFL told them all to keep quiet about steroids. I’ll be surprised if the tox results are released or reported.